Availability: Out of stock. Estimated to ship in 5-7 business days.. It is always nice to have a spare hand hanging around somewhere. For that moment, here is the Hanging Bloody Arm. This severed limb can be used in different ways and invokes a wide assortment of different thoughts. 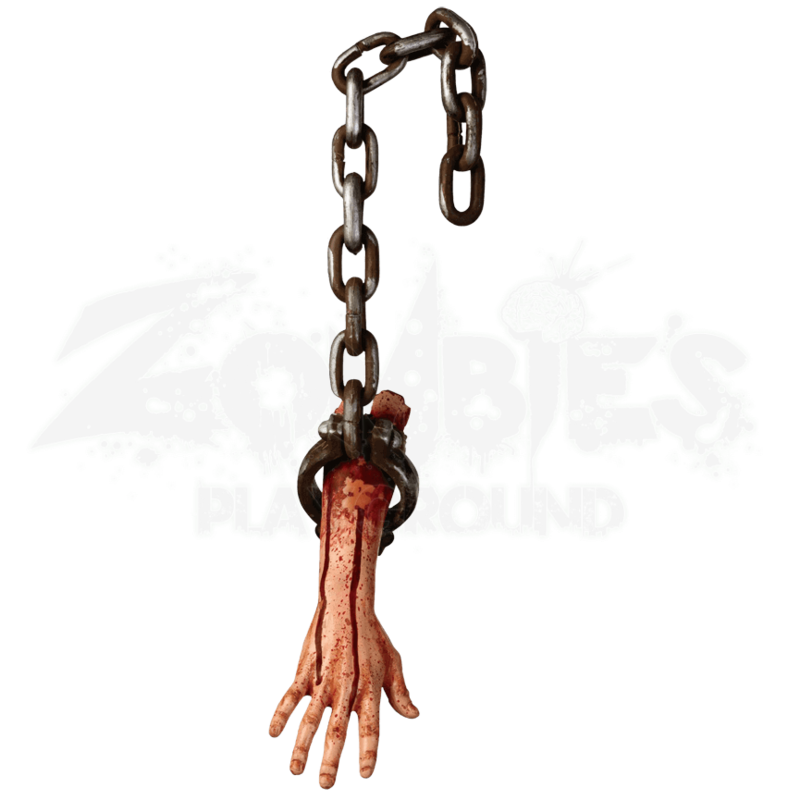 Did a zombie chew through its arm to escape its chains? Did a survivor wind up devoured and this hand is all that is left? These are two of the possibilities with this severed, bloody limb. This great decoration features a bloody, severed hand that has been cut off just around the middle of the forearm. Streaks of blood trail down the skin, while the skin near the stump is stained crimson with blood. The area around the stump is ragged and worn, while two arm bones stick out and are roughly broken off. Attached to the arm is a metal-looking manacle and a chain, which can be used to hang this severed limb, or to carry it around. This prop is made from hollow molded plastic, which makes it ideal for indoor and outdoor use. The arm measures approximately 14.5 inches long and 4 inches wide, while the attached chain measures 18 inches long. 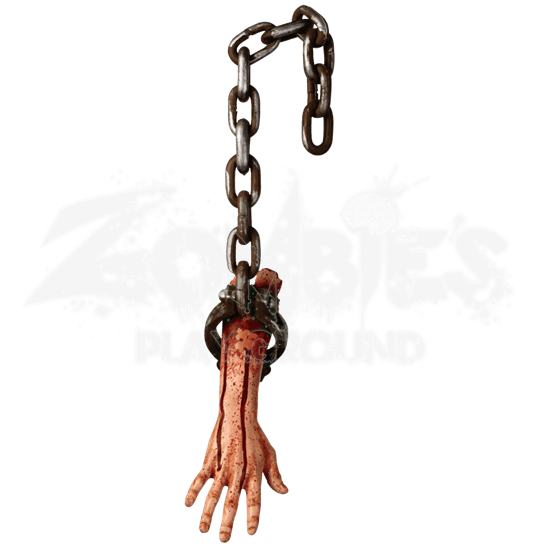 You can hang this Hanging Bloody Arm up and let those who see it draw their own conclusions or you can carry it around as a bloody souvenir from a previous victim when you wander the town in your zombie garb.